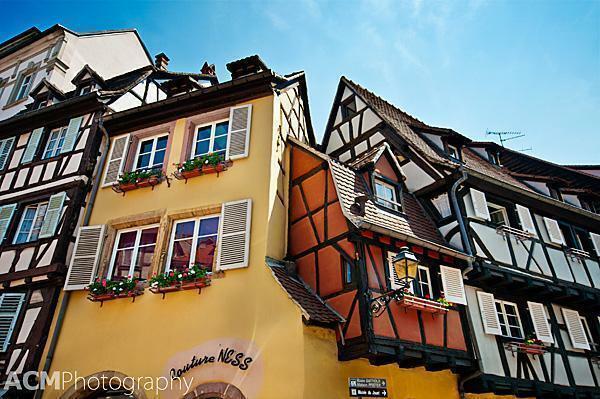 Colmar is, quite possibly, the prettiest town in Alsace, France. We share our top things to do in Colmar and why it makes a great weekend getaway from Belgium or a day-trip from Paris. 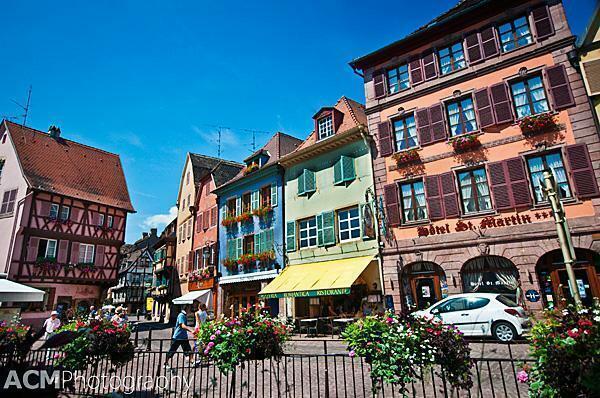 Andrew and I visited Colmar, in the Alsace wine region of France, last year on a hot spring day. While we thoroughly enjoyed our visit to the entire region of Grand Est, Colmar was particularly special. Picture if you can, the Alsatian version of Bruges – traditional architecture, in this case timber-framed, painted in every colour of the rainbow, lots of little gift-shops and canal-side restaurants, and a healthy dose of tourists enjoying it all. 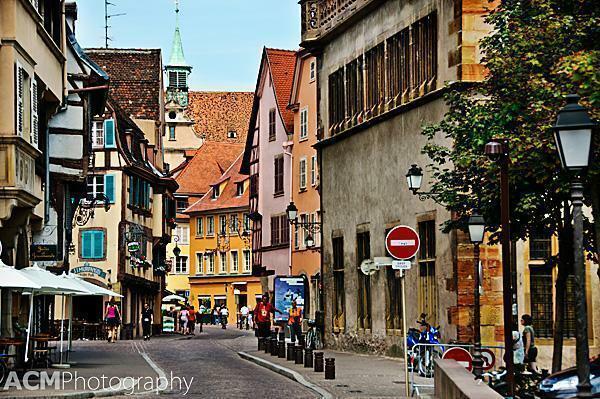 So is it worth braving the throngs of tourists to visit Colmar? We think so, particularly if you can visit during the off-season. 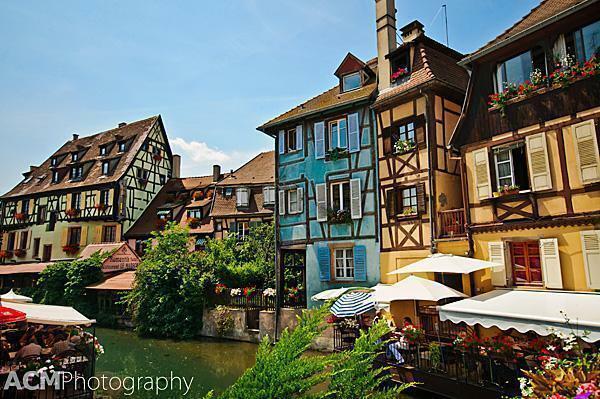 Beyond being quaint and picturesque, Colmar has a few other things going for it. First, Colmar considers itself the “Capital of Alsatian Wine,” and there are a number of shops offering tastings in the Old Town. The region is particularly suitable for making wine, due to a microclimate, making Colmar the second driest city in France; another great reason to plan a trip here from rainy Belgium. The food in Colmar is terrific. Like the rest of Alsace, it has been passed back and forth between Germany and France, and both cultures have had a positive influence on the cuisine. One of our favourite Alsatian treats is Tarte flambée, or Flammekueche in Alsatian, similar to pizza but crispy and traditionally topped with crème fraîche, cheese, onions, and lardons. In Colmar’s ‘Little Venice’ neighbourhood, you can enjoy a meal, while sitting canal-side and watching small boats pass by. Add in a bottle of Alsatian wine and some shade from the perpetually shining sun, and you have the makings of a fantastic afternoon. For those of you interested in art and history, Colmar was home to the sculptor Frédéric Bartholdi, who designed New York’s Statue of Liberty. You can visit the Musée Bartholdi, in Colmar, and learn about his early life in the city. 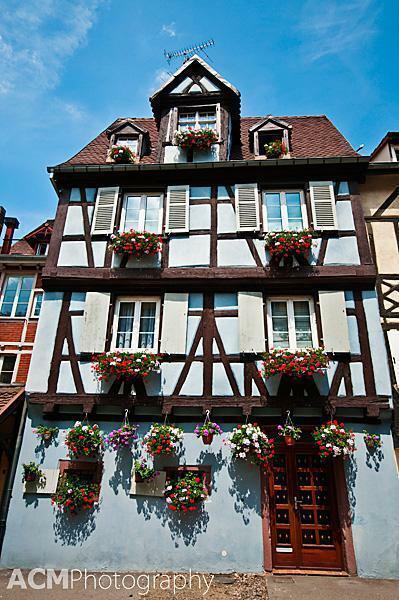 For us, the best part of visiting Colmar (besides the food and wine) was just wandering through the narrow streets and enjoying the beautiful architecture. 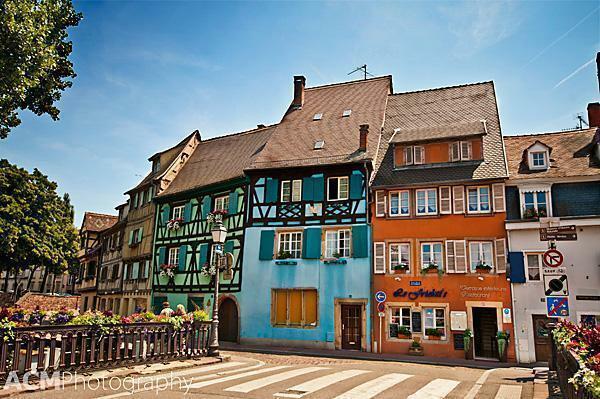 The tiniest house in Colmar – It’s just the orange part – 2 rooms and 20 square metres! 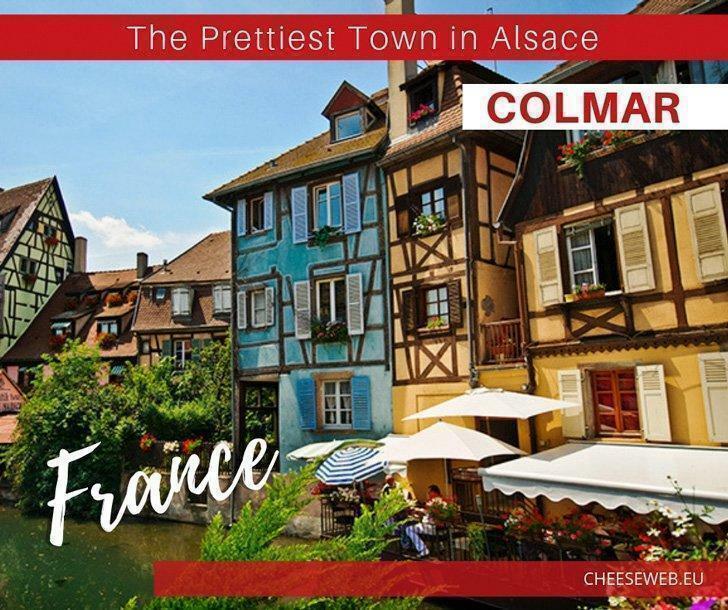 So if you’re looking for a colourful way to brighten up your weekend, consider a trip to Colmar in Alsace and enjoy a Tarte flambée for your friends at CheeseWeb. Colmar – Enjoy it for us! Colmar is about a 5.5-hour drive from Brussels (480 km). 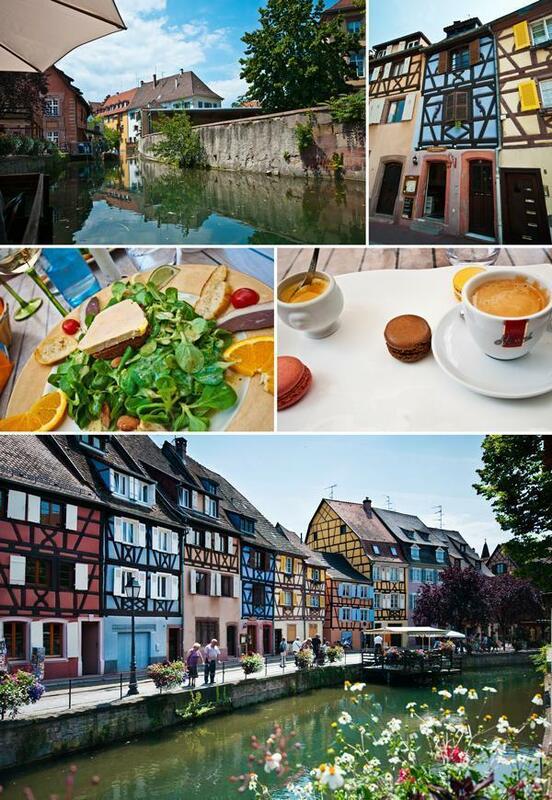 We included Colmar in a visit to Strasbourg. 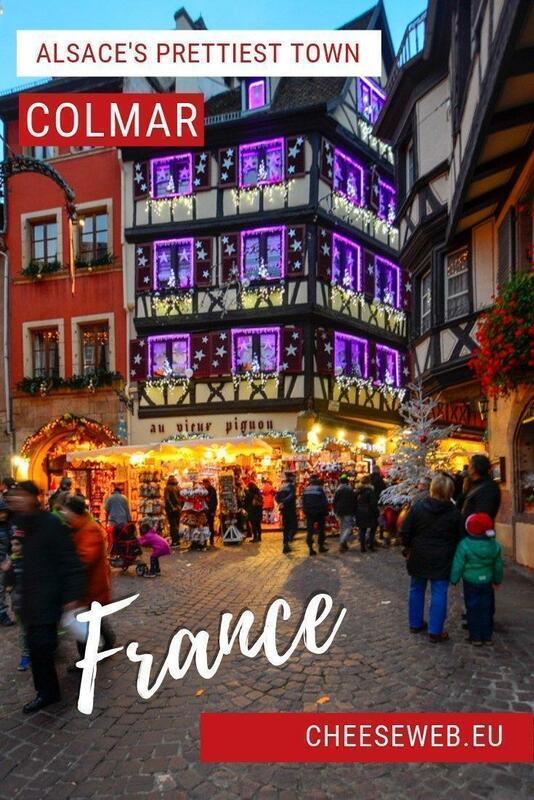 You can also reach Colmar by train, with direct connections from either Strasbourg or Basel in Germany.